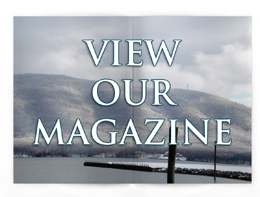 Thank you for visiting the NEW Discover Smith Mountain Lake Magazine website! It is an exciting time in the life of Discover Smith Mountain Lake magazine, as new ownership presents a whole new vision and direction that our readers are sure to embrace. Our fourth issue will be in racks soon! Discover Smith Mountain Lake’s new philosophy is one of looking forward… rather than reporting news or re-hashing events, we intend to introduce you to what lies ahead, as much as possible. We also look forward to our readers’ input and suggestions. Drop us a line if you have any story ideas or things you would like to see in the upcoming issues. After all, this magazine is about you! Please visit us again soon to check on our progress. If you would like to contact us for any reason, please email sales@discoversmithmountainlake.com.